Photo 38. Old quarries, near the village of Gwespyr, just east of Prestatyn, on the North Wales coast, showing cross-sections through the Gwespyr Sandstone. 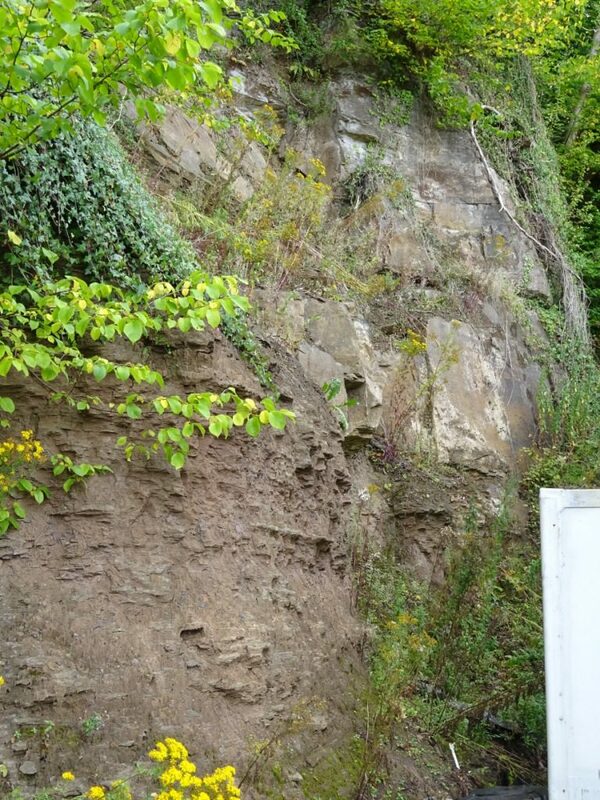 This, mostly fine grained, often ripple cross-bedded, and locally swaley cross-bedded sandstone is of late Namurian to early Westphalian age, so a little younger than the southerly sourced quartzitic Cefn y fedw Sandstone we saw at Nercwy Mountain further south. 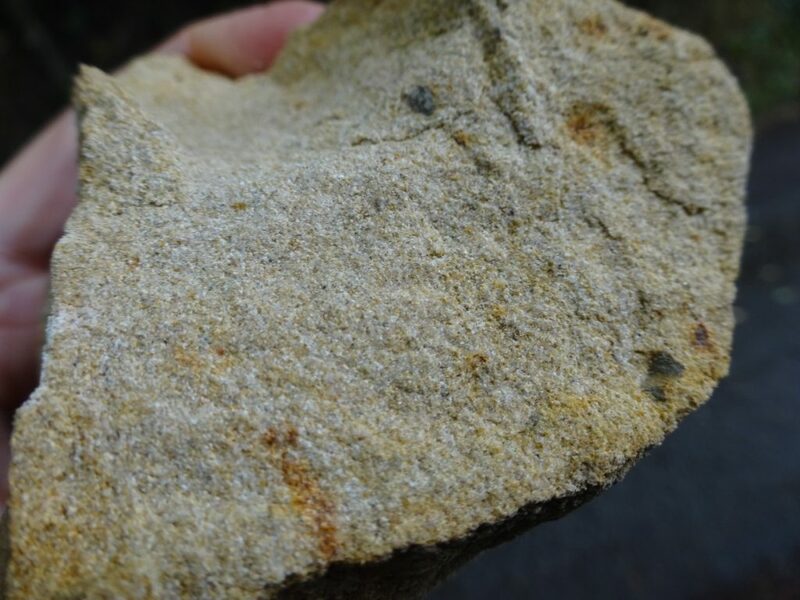 It is also lithologically quite different, being more yellowish brown in colour, generally finer grained, better sorted and feldspathic, rather than quartzitic. These changes reflect its different origins; it was sourced from the north or north-east, and indicates a change in sediment input to the Craven/Irish Sea Basin, off the North Wales Coast. These sands originate from prograding river deltas that entered the basin from the north-east, infilling it with sediment from this direction, whilst sediment input from the Cefn y fedw sandstone to the south diminished and then stopped. Photo 39. Close up view of two thick, fine grained Gwespyr Sandstone units (top) interbedded with darker shales below. Cliffs near the village of Tan-lan, near the Point of Ayr. Photo 40. 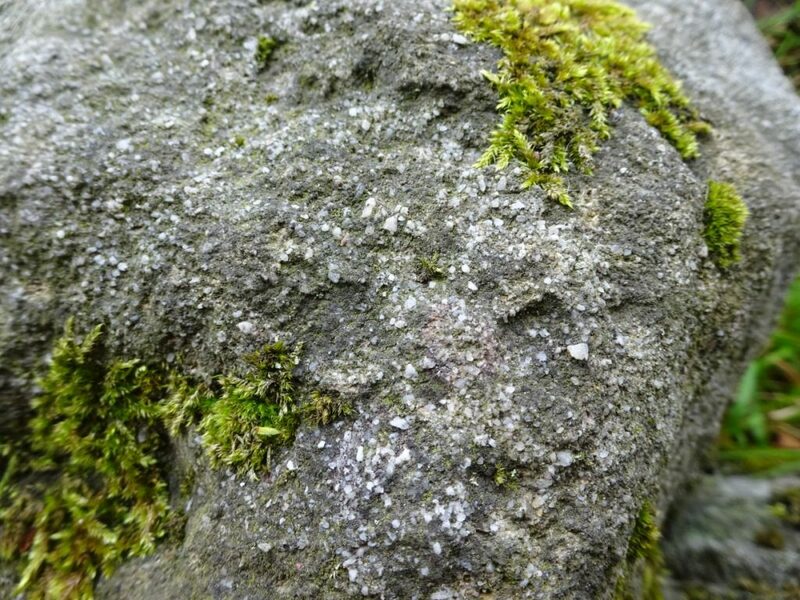 Close up view of quartzitic Lower Cefn y fedw Sandstone, Afon Terrig, Mold. Photo 41. Close up view of the much finer grained, brownish, feldspathic, Gwespyr Sandstone. Photo 42. 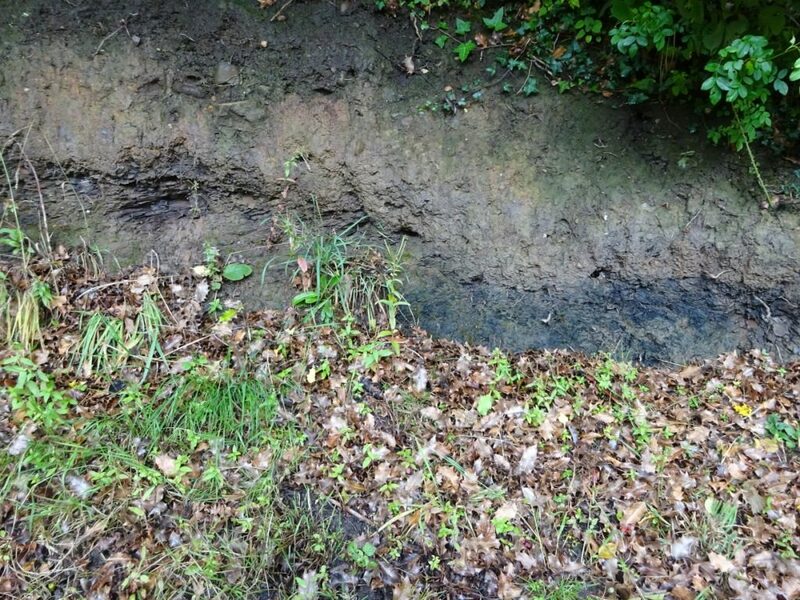 Nant y Fflint stream bank, west of Coed-y-cra woods, Flint. Beds of shale, part of the Namurian age Holywell Shales, probably represent mudstones interbedded with the fluvio-deltaic Gwespyr Sandstones. The dark layer is probably a thin, poor quality coal. Photo 43. Close up view of the dark unit in the shales seen in Photo 42, above. 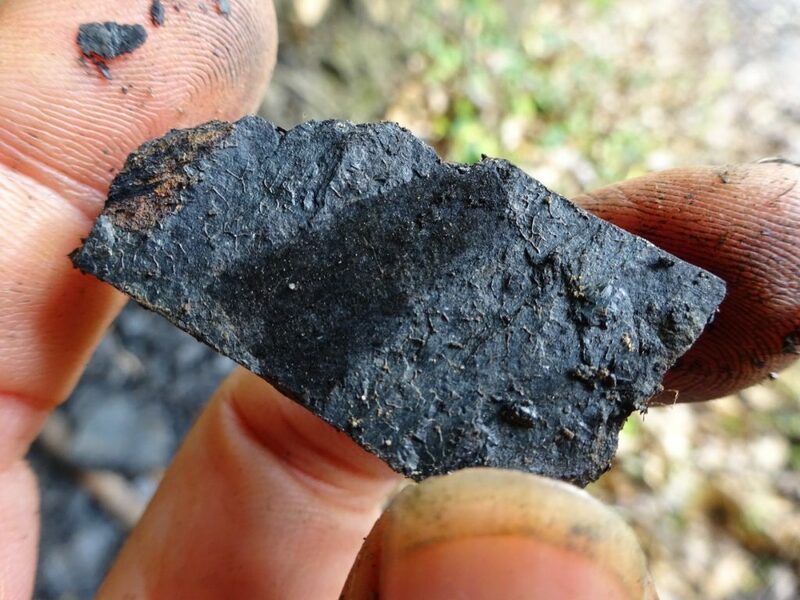 Clearly coalified, plant like fragments in this unit probably represent the remains of thin, delta top plants, now turned into a poor quality coal. These sedimentary changes to our story represent the end of our geological journey for this year!